When crisis strikes, leaders often call for sacrifice. In the aftermath of Hurricane Harvey and in these days before Hurricane Irma churns ashore, we've seen innumerable Americans volunteer, sacrifice and even risk their lives to help others. It might be too easy to contrast that generous spirit with the strict practices of major air carriers, but airlines make it pretty much irresistible. 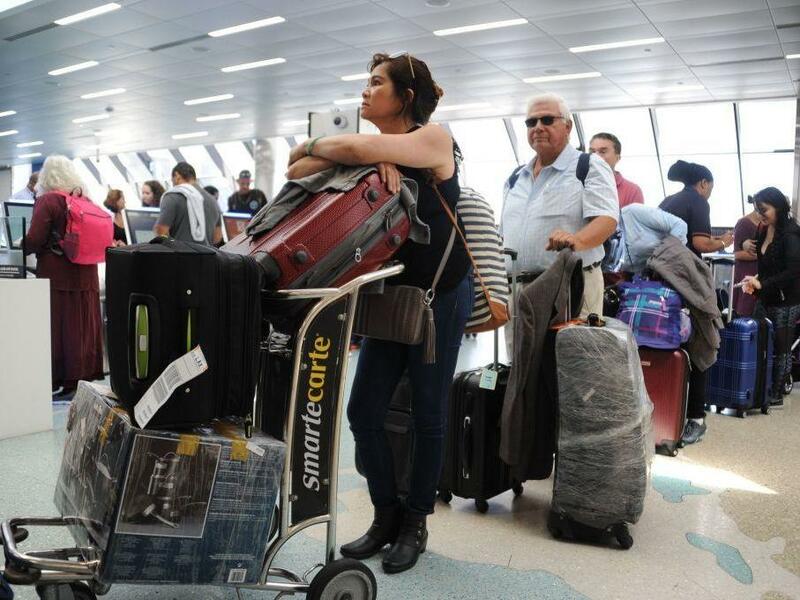 When Florida's governor Rick Scott advised people who may be in the path of Hurricane Irma to leave now, it posed a challenge for those who tried to fly out of airports in Southern Florida. Many found the price of a single seat to fly - say, just from Miami to New York - could cost more than $3,000. For a family of four, that's as much as their annual budget for groceries. Complaints burst on to social media platforms. A man named Joseph Pep Nodarse tweeted at an airline - totally unacceptable, a $358 flight from Miami to NYC went up to $3,578. Why should expect anything decent from these airlines? Followed by three question marks and an expletive in front of rats in all caps. State laws prohibit price gouging during a state of emergency. Air carriers are regulated by federal agencies. But were the airlines price gouging with those ticket prices? I'm not sure if the answer is no or no more than usual. Seth Kaplan, managing partner at Airline Weekly, explained to several news organizations that algorithms in the software of major airlines monitor supply and demand, then lower or raise prices accordingly within seconds. This is what happens when thousands of people want to leave a place all at once, he told The Verge. When people want to, or in this case, need to leave immediately, prices can rise alarmingly. By the way, I've become convinced that algorithms must be a Latin phrase for don't blame us, it's the software. JetBlue capped the cost of their tickets out of South Florida at $99 this week. And by the end of the week, American matched them. Delta has also overridden the algorithms and use their human powers to manually lower their fares out of Florida to $399. I wonder how a passenger who paid $3,000 for a seat on Wednesday feels about seeing that seat sell on Friday for $399? But I'm glad that when people hit by hurricanes were asked to make sacrifices for neighbors and strangers, most Americans didn't respond with, sorry, the algorithms won't let me. (SOUNDBITE OF HARUKA NAKAMURA'S "ARNE") Transcript provided by NPR, Copyright NPR.